Lately, I’ve been hanging pictures, and trying to make our place feel homey. You know how we women, and some men, are. We want everything to be pretty! On the bedroom wall, there’s a fuse box thing. It’s right in a strange spot and it’s grey metal. There was supposed to be a frame, and a door put on it to dress it up a bit. Alas, it’s not on there yet. I didn’t want to say anything to Steve, it’s not like he don’t have enough to do! A house that needs finishing. Cars that need fixing up, to be sold. Running a business. Yada yada yada. Anyway, I decided that it wouldn’t stand out as much if it was painted the same color as the wall, so I painted! Lo and behold! I was right! It DID look much better! I was feeling rather proud of myself, after all I had accomplished this weekend. That is, until I came home from a birthday party Sunday evening. The party was adorable! 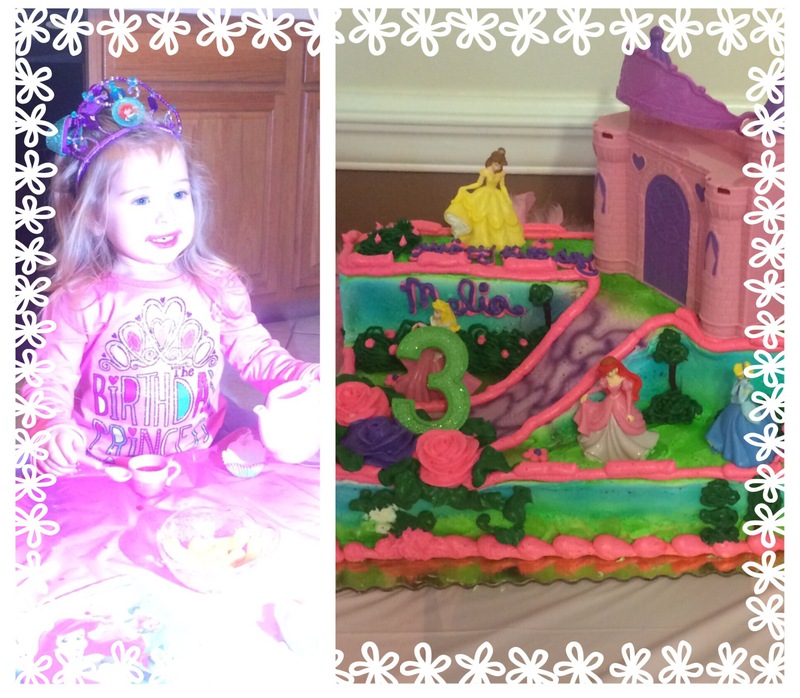 It was a party fit for a princess. Complete with a dress up station, and a tea party! It was a sweet way to spend my Sunday afternoon. I was looking forward to going home, making dinner, and hanging out with Steve for a bit, but the hanging out turned into work when Steve noticed there was blue paint all over the hardwood floor in the kitchen. What the heck?! Guess what? The bedroom is blue. I remembered I’d left the gallon of paint sitting in the bedroom floor, but I distinctly remember closing it! How in the world could I have gotten paint on my foot?! Maybe I hadn’t closed it, and I’d stepped on the lid! OH! MY! GOSH! I wish that’d been the case! The fact of the matter is I’d, somehow, knocked the paint can over, and the lid wasn’t all the way closed. Yep. You guessed it. There was a BIG puddle of blue paint, as pretty as you please, on the carpet! Not to mention the cute footprints I’d tracked all through the place. And it’s not like it had happened a few minutes ago. NO! It had been sitting there since I’d left for church! And it was 6pm!! I scrubbed, and scrubbed, but needless to say, the spot remains! I was, however, able to make it look sort of like a heart! How adorable is that? Yeah. I hope y’all sensed the sarcasm. This paint incident made me realize something about myself. I realized that, when it comes to patience, I’m seriously lacking. I don’t like waiting, and when something doesn’t happen when, or the way I think it should, I take matters into my own hands. Well, that is, if it doesn’t require too much work on my part! If that’s the case, I usually manipulate Steve into doing it for me :-). I’m a Mary in a Martha kind of world! That makes me sound all spiritual :-). It’s one thing to be impatient with friends, and family, you can’t always trust them to come through simply because they’re human! We all forget, ignore, and wait until we just have to do certain things. Being impatient with God, however, is really just wasted energy. And you definitely can’t manipulate Him into doing something! Trust me, I’ve tried! Here’s the conclusion I’ve come to, when we don’t trust God, and take matters into our own hands, we end up with stuff all over us! We end up stained! 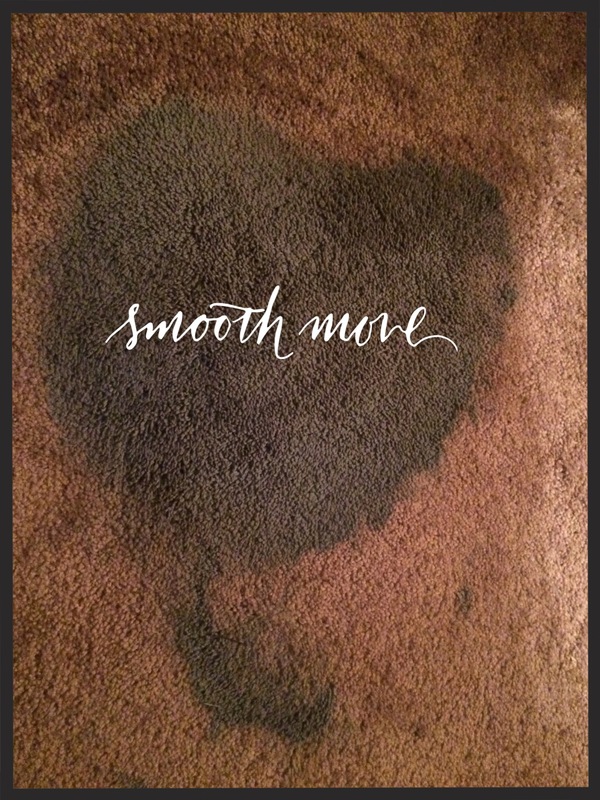 And unlike my bedroom carpet, that will never come clean; there’s no stain, in our lives, that God can’t clean up! That’s good stuff! I don’t care who you are! Today, let’s all try to trust God more, and our circumstances less! May you all have a stain-free day! Previous Post Will There Be Democrats In Heaven? ?